Discrimination in the workplace due to gender, race, religion or sexual preference is not only unethical but is also illegal in most countries. Importantly though if an organisation does undertake discriminatory activities in for example deciding not to recruit certain people it can miss out on good quality employees from the “excluded segment” of the population. Now whilst the following example isn’t covered by any discrimination legislation it does provide an interesting example of how an organisation would have missed out if this lady had been discriminated against and prevented from doing the job she loves. “Momo”, or Peach in English is special for a number of reasons. She has succeeded in what is an extremely competitive environment. Some would say that her work environment was a heady macho mixture of fitness and controlled aggression. Most of her colleagues are significantly bigger and stronger than her but she has persevered so much so that she graduated with full honours and now is very much an equal with her male work colleagues. Momo is special for another reason. She is the first police dog that is a Chihuahua. Yes, Momo is a 3 kg (6.6lb) Chihuahua dog that has just passed her exams to become a police dog in the Japanese prefecture of Nara. Now whilst most of her colleagues will be large powerful dogs, her employers didn’t discriminate against her and as a result have a tremendous resource. She won’t be used for security roles but rather in search and rescue operations in disasters such as earthquakes where her small size will enable her to squeeze into small spaces to look for trapped people. Had they discriminated against her they would have missed out on this skill set. If you’re a single lady, should you get a red car? Up until recently the most likely answer to that question would have been “silver”. However, after 10 years at the top of the popularity car colour charts silver has fallen to the number 2 position. The most popular car colour according to leading transportation coatings company, PPG Industries, is now white. According to their figures 21% of this year’s new cars across the globe have been finished in white. According to a PPG survey, more than 75% of car buyers said exterior colour was a factor in their purchase decision but as the above figures show though there doesn’t appear to be a huge variety in colours with the 3 main colours of white, black and silver dominating. But what about the colour red though? 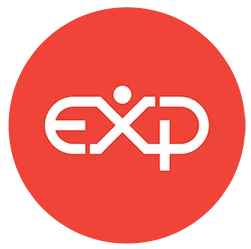 After all, our ExP logo has a big red dot in the middle so we like the colour red. Well, an interesting study in the European Journal of Social Psychology has identified that if a lady wants to make herself more attractive to men then she should consider wearing more red colours. “In two experiments, we investigate an analogous effect in humans, specifically, whether red on a woman’s shirt increases attraction behavior in men. In Experiment 1, men who viewed an ostensible conversation partner in a red versus a green shirt chose to ask her more intimate questions. In Experiment 2, men who viewed an ostensible interaction partner in a red versus a blue shirt chose to sit closer to her. No doubt the marketeers are already onto this so does this mean that we’ll now see car companies starting to promote red cars for single ladies? https://www.theexpgroup.com/wp-content/uploads/2018/06/styleguide-EXP-4.png 0 0 Steve Crossman https://www.theexpgroup.com/wp-content/uploads/2018/06/styleguide-EXP-4.png Steve Crossman2013-06-18 05:52:342013-06-18 05:52:34If you're a single lady, should you get a red car? Some people have a lot of free time. Some of them use it for recreational purposes and others use it to make requests to UK government bodies under the Freedom of Information Act. An interesting Freedom of Information Act discovery that was recently published on, perhaps surprisingly, the BBC news website is that BBC staff lost laptops, mobile phones and similar devices last year to the value of £241,019. That is really rather a lot of laptops. The fact that somebody saw fit to make the request of the BBC shows how diverse the Corporation’s stakeholders can be and how surprisingly interested seemingly external or unconnected stakeholders can be. Having to admit to losing property that ultimately belongs to the public of such a high value doesn’t do much for reputation. Using the TARA (transfer, avoid, reduce, accept) framework for risk management much beloved of the ACCA Paper P1 examiner, an appropriate response to this risk might be to try to “reduce” it. This is because it is something that is likely to happen, but would probably be assumed to have limited impact on the business. However, if something changes, such as the introduction of legislation that allows the public to obtain answers to questions that the BBC would really probably prefer weren’t asked, the reputational damage risk may become greater. This would then lift the TARA response to “avoid”, since the impact on the business would now be high and probability high. This may mean that the policy changes from providing smartphones for staff to requiring them to buy their own and pay part of their bill in expenses. It’s just a little illustration of how stakeholders can have surprising effects on a business. So then, do you know where your laptop and smartphone are right now? Go check.